The patient is a 40-year-old woman who presents with cough and fever that has been getting worse “for a few days.” She is a former smoker, and has diabetes mellitus. 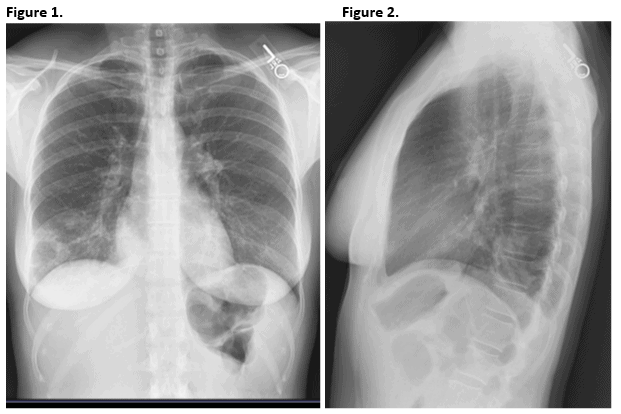 View the images taken and consider what the diagnosis and next steps would be. Resolution of the case is described on the next page.